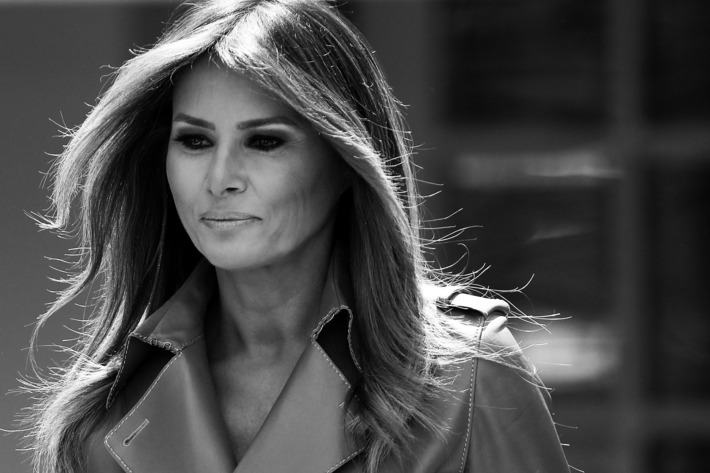 Target Liberty: What's Up With Melania? She has not been seen publicly in weeks. Under analysis, it appears that her recent tweet might have been written by President Trump. Here’s what Melania Trump’s Twitter account posted yesterday afternoon: “I see the media is working overtime speculating where I am & what I’m doing. Rest assured, I’m here at the White House w my family, feeling great, & working hard on behalf of children & the American people!” It’s not difficult to figure out that she didn’t write this. She doesn’t attack the media for doing its job. She doesn’t speak publicly with this kind of pompous bombast. Whatever you think of her, she doesn’t – ever – speak this way in public. Instead it sounded exactly like something Donald Trump would have written. Then this morning, Donald Trump posted this tweet: “The corrupt Mainstream Media is working overtime not to mention the infiltration of people, Spies (Informants), into my campaign! Surveillance much?” Oops. Donald forgot to change up his phrasing. He built the tweet he wrote for Melania around the phrase “working overtime” and then he recycled that same phrase in his own tweet the next morning. And friends in the know tell me that those caring for Melania when she was being treated for a "kidney condition" at Walter Reed National Military Medical Center were carefully chosen and known to be able to keep their mouths shut. Perhaps she needs to make a call to Dr. Edelstein. The Gold Star Families event is CLOSED PRESS. I'm pretty sure kidneys don't respond to shrinks. Does she want a divorce? Or more money?